When the Toyota Camry debuted in 1979, Northridge drivers could've been forgiven for not noticing. It was just another release from a company that was still fighting for respect. A lot changes in 37 years. 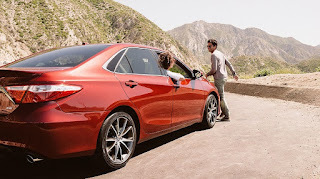 The Toyota Motor Corporation is respected the world over, and the Toyota Camry has outlasted not only many other models, but also enjoyed a longer run than some entire car companies. The 2017 Toyota Camry XSE V6 available now at Keyes Toyota represents the pinnacle of a modern classic. There are many ways to get a 2017 Toyota Camry. 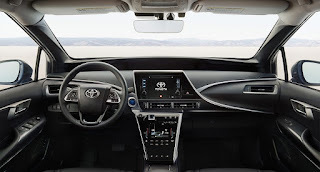 Like other new Toyota cars there are multiple trim levels, and like select other Toyota vehicles (the Toyota RAV4 comes to mind) it comes in hybrid variants too. Besides the XSE V6 trim, there are six other trims available between gas and hybrid versions. So what sets the Toyota Camry XSE V6 apart? The engine is one thing, since it swaps the base 2.5 liter four cylinder 178 horsepower engine for a six cylinder engine that displaces 3.5 liters and puts out 268 horsepower and 248 lb.-ft. torque. The only other trim on which it's available is the luxurious XLE trim. There's plenty more to set it apart from other new Toyota cars. 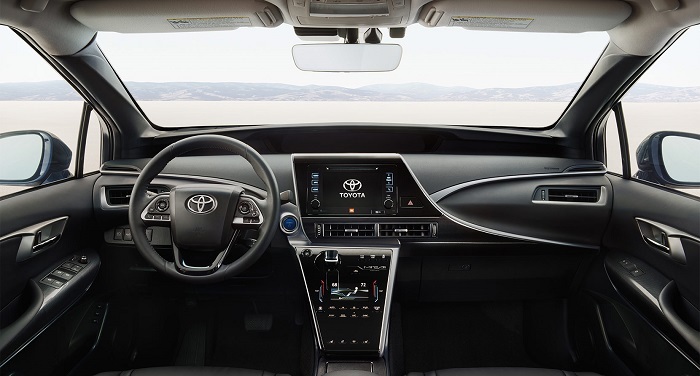 In addition to a roster of luxury and convenience features, the 2017 Toyota Camry XSE V6 gets some updates from 2016, including the option for a Blue Streak Metallic finish, an update to the Entune Audio Plus infotainment system, Qi wireless charging, and a new navigation suite. If you're looking for options, explore the Advanced Technology package, which tacks on lane departure alert, adaptive cruise control, and a pre-collision system. Since its introduction in 1979, the Toyota Camry has earned itself - and the Toyota Motor Corporation - some well-deserved respect. In many ways, the rise of the Toyota Camry hasn't just mirrored the rise of the company that builds it. It's helped to drive that success. 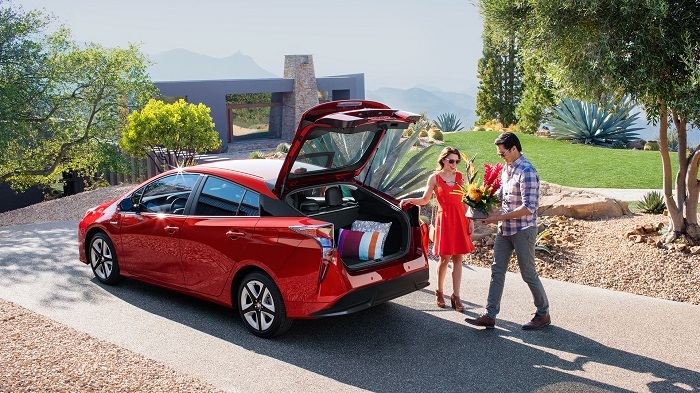 To see the best of what Toyota has to offer, visit Keyes Toyota. We serve Northridge and Los Angeles from our showroom at 5855 Van Nuys Blvd in Van Nuys, CA, and we're just a phone call away at 800-296-3052. A recent conversation between Toyota chief engineer Satoshi Ogiso and the folks at Forbes magazine caught our attention. It says a lot about where Toyota is right now as a company, where they see their future, and what that means for what you're likely to see on the roads around Glendale and North Hollywood as well as the Keyes Toyota showroom. The first key takeaway: it's now cheaper to build a hybrid like the Toyota Prius than it is to build its diesel equivalent. That's a pretty clear sign that the days of diesel are numbered, at least as far as Toyota is concerned. Given tighter emissions standards and the multiple hits diesel has taken in the press in recent years, there's a clear business case for moving away from diesel as it is. If Toyota already has an option in its arsenal that's better, and cheaper to boot, that business case becomes a no-brainer. Cost concerns are also slowly receding for EVs (Electric Vehicles). It already costs roughly the same, or even a bit less, to build a short-range EV as it does to build a hybrid. As manufacturing, storage, and economies of scale are refined, longer-range EVs will also approach the cost of a hybrid, though Ogiso suggests this isn't likely 'til 2025. By 2050, he continues, 90 percent of new vehicles will be EVs. There are hurdles to clear before we get to that point -- most of the country hasn't embraced electric vehicles and infrastructure like high-capacity charging stations that keeps them running -- and there are cultural concerns that would need to be overcome as well. In the States, we like big vehicles. And we like suburbia, even if we have a love-hate relationship with the long commutes it brings with it. Some of us are already thinking ahead about the cars we'll be driving because we're thinking ahead to the kind of world we'll leave to future generations. 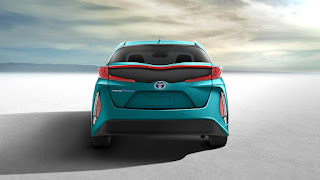 That makes the rise of EVs (and their falling costs) a big deal, and we're glad that Toyota is leading the way. We invite you to your Glendale-area Toyota dealership to see what's new and what's next. Call Keyes Toyota at 800-296-3052, or visit our showroom at 5855 Van Nuys Blvd in Van Nuys, CA today. Is This the New Toyota Supra? Lots of people across the United States still love the Toyota Supra. It continues to have plenty of fans in Van Nuys and right here at Keyes Toyota. The last one rolled off the lines in 2002, and the faithful have awaited its return ever since. That long-awaited comeback may be closer than it seems, at least if recent rumors based on sightings of a new Toyota car in heavy test camo are to be believed. This wouldn't be the first time the Toyota Supra was rumored to be returning to production. In 2007, Toyota showed the Toyota FT-HS concept in Frankfurt. Seven years later, the Toyota FT-1 concept took its first bow in Detroit. Both had the kind of sinewy lines and promised performance that reminded folks of the old Toyota Supra. There are two other causes for optimism. The Toyota FT-1 concept raised its head again this year in Tokyo. Then, there's the aforementioned test mule. Like many production prototypes, it bears a resemblance to earlier concept vehicles, but with its shape toned down some. It doesn't look like any other production car from Toyota, which lends credence to the rendering shown by Jalopnik, which broke the news. Akio Toyoda made one simple promise when he took the reins at Toyota a few years ago: he would bring the fun back to driving. He wasn't kidding. Toyota has adopted a design aesthetic and an approach to the drive that's transformed even staid old standbys like the 2017 Toyota Camry. A new Toyota Supra would be a jewel in the crown for the company. While we're waiting (with bated breath), why not stop by Keyes Toyota at 5855 Van Nuys Blvd. 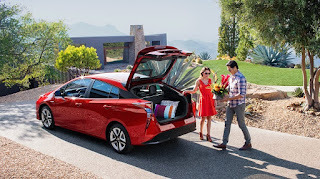 in Van Nuys, CA or call your Van Nuys Toyota dealership at 800-296-3052 to arrange a test drive of a great new Toyota car today? Is it 2017 already? Well, it is here at Keyes Toyota. Some 2017 Toyota models are already on our lot, and more are just around the corner. Below, we're charting some of the changes that are in store for Los Angeles new car buyers looking for their next car, crossover, or minivan. 2017 Toyota Corolla: Talk about major milestones: the Toyota Corolla turns 50 in 2017. What will you be getting for the big five-oh? The Toyota Corolla gets a mid-cycle redesign that features the same powertrains, but a more updated look. There'll also be an anniversary edition, about which we'll feature more information when it becomes available. 2017 Toyota Highlander: The Toyota Corolla won't be the only vehicle getting a new set of "clothes." The 2017 Toyota Highlander comes in for a mid-cycle refresh as well, getting a new SE trim level that adds sport suspension and some other perks, plus a 3.5 liter V6 engine and eight-speed automatic transmission drive train that it shares with the Toyota Tacoma. New front and rear fasciae are on tap, and Toyota Safety Sense active safety features will be available as standard equipment across the lineup. 2017 Toyota Prius Prime: The Toyota Prius plug-in hybrid gets a new name, but that's not all. Its body is redesigned, as is its battery pack. The latter now has twice the kilowatt-hours of its predecessor, and will have an electric-only range of 22 miles on a single charge without using engine power. 2017 Toyota Sienna: Like the Toyota Highlander, the Toyota Sienna inherits the same 3.5 liter V6 engine that the Toyota Tacoma pickup uses. The earlier six-speed automatic transmission is replaced by a new eight-speed version. If you don't see a model listed above, it's likely only receiving minor trim changes, or none at all, for the 2017 model year. But if you're looking for a new Toyota vehicle, or if your old Toyota car is coming off lease, there's a lot to like about the 2017 lineup. Curious? Call your Los Angeles Toyota dealership at 800-296-3052 or visit Keyes Toyota at 5855 Van Nuys Blvd. in Van Nuys, CA today.